The NGO Forum yesterday urged the government to increase the 2019 national budget allocation for health, agriculture, environment and natural resources and local services at the sub-national level in order to better respond to the needs of the people. Its executive director Tek Vannara said at the National Workshop on the “Understanding of 2019 Budget Preparation” in the capital that the National Assembly recently approved the 2019 budget and that civil society organizations lauded the government’s increase in allocation for education, which is a key sector. However, he said that NGOs also want the government to increase allocation for the four other important sectors. “We also want to see more funding to protect the environment and natural resources because Cambodia has so many protected areas but the budget for conservation is still little and there are very few rangers,” Mr Vannara added. He said that NGOs also hoped to see more funding so that people can receive better services at the sub-national level. He noted that the government has used allocations in past budgets wisely through successful action plans, adding that NGOs hope that this will also be the case for allocations in the 2019 budget. Mr Vannara suggested that in the future, the government should engage the participation of civil society, especially the youth, to provide input for the national budget. 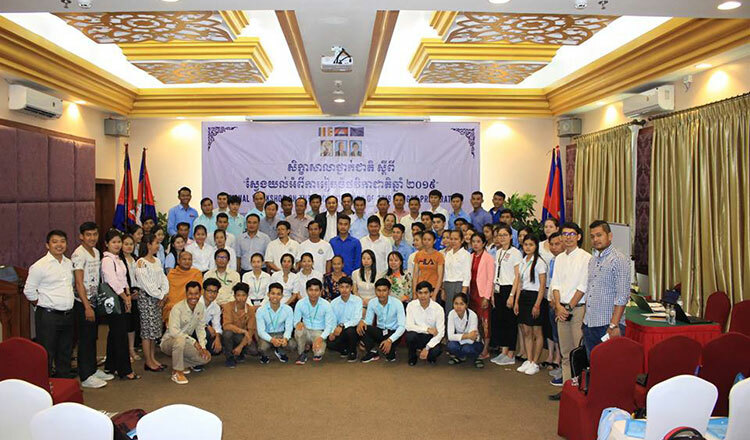 Chan Thaisoukhin, 19, a high school student from Ratanakiri province who attended the forum, said that the participation of people in the process of preparing the national budget is crucial because they can provide input on what they need. The student from Virachey High School also asked the government to increase the national budget allocation for some key sectors such as agriculture, health, education and local public services. “That is why I want to see an increase in allocation for these sectors to address the problems,” Ms Thaisoukhin added. Kim Sopheak, a spokesman for the Economy and Finance Ministry, could not be reached for comment yesterday. Neth Pheaktra, an Environment Ministry secretary of state and spokesman, declined to respond to the NGO Forum’s call, saying only that the government has taken into consideration all factors when drawing up the budget for the environment and natural resources sector. “The Cambodian government put in a lot of thought into preparing the budget to effectively protect, manage and conserve natural resources in the Kingdom,” he said. On November 15 the National Assembly approved the national budget for 2019, after the government tabled it on October 26. Next year’s $6.7 billion national budget is an increase of 11.4 percent over 2018.